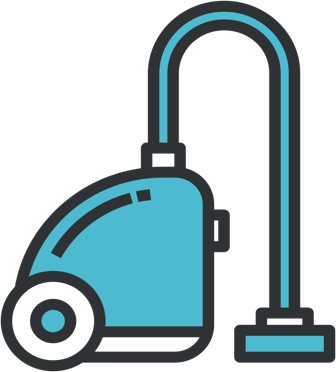 Over long periods of time, carpets tend to smell, look dirty and that’s when you require a full steam carpet clean. This is not like the regular vacuuming. Let Whizz, the professional carpet cleaning service help you extend the life of your carpet. Book a time and date – Simply select a time and date that you’d like one of our accredited cleaners to show up and we’ll happily arrange it. We offer our services 7 days a week and you can book online through our online system. Our cleaner will show up and clean – Our cleaners all have valid police checks performed, current insurance and over a year of professional cleaning experience. We’ll bring all the tools and materials we need so you can sit back, relax and let us do the heavy lifting. Enjoy your dust free and sparkling home – Whether you’ve not had time to clean the house or recently had a party cause a complete mess in your home, we’ll put everything back to normal and leave your home in pristine condition. We have vetted and professional cleaners all across Australia that are ready and willing to give your home the clean it deserves. The entire process couldn’t be simpler and we even have a handy app which allows you to find and book a professional cleaner in minutes. All of our verified cleaners have a valid police check, current insurance, have 1YR+ experience and supply their own equipment & products. Whizz securely hold payment until your job is complete and offer a 100% Happiness Guarantee. There’s never been a more convenient way to book a clean. With over 40,000+ Whizz cleans booked Australia-wide, Whizz is the most trusted place to book your next clean. Prompt, friendly customer service, great communication and a flawless end of lease clean which made me *almost* want to live in the place again! Well-managed quality assurance (cleaners get a Whizz checklist so nothing is forgotten). Handy to book for a certain time and with max 1 hour delay (and even on same day). Nice cleaning job, and friendly cleaners. So far always at least one speaks English. Nice gesture for the little gift at the end. Very easy to book and manage my weekly clean. Even switched cleaners after one clean wasn’t how I wanted it - no need to confront them - Whizz app sent other cleaners who are now great. Very happy customer getting a cleaner each week. Thanks! Great customer service both 'back end' and the clean itself. Absolutely no complaints, a very hassle free experience. As a working mum, that's exactly what you need! Highly recommend. What a service!! Had a great cleaning crew that were efficient and let me know that they would be late. Made sure that all the items I had listed were cleaned and did a great job of it! Will book again. Thanks WHIZZ!! !